"He is truly one of the most caring doctors I have been two." "There simply is nobody in LA County more skilled than he!!!" "well-educated, to-the-point, understanding, relatable...just overall fantastic doctor"
"Astonishing. AMAZING! He has a lovely bedside manner, he is gentle and listens to you." "I couldn't recommend anyone more highly than Dr. Bajaj and his office staff." "He is affable, thorough, compassionate, articulate and thoughtful." 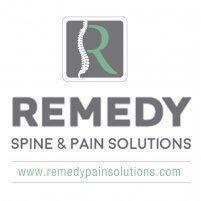 Available • Remedy Pain Solutions has multiple locations on the west side of Los Angeles to minimize your time spent commuting to us, so you can receive the care you deserve in an efficient manner. Our wait times are minimal. We understand the urgency in providing your care. Affable • We know dealing with pain is no fun. We focus on creating a warm, compassionate, and considerate environment with a focus on excellent bedside manner. Every patient’s needs are unique and we will spend the time to properly assess, diagnose and provide treatment options for you. Able • Our physicians are double board certified at a minimum and have been trained at the most prestigious programs in the country, Including UCLA and UCSF. We use only the highest quality, most cutting-edge tools available to diagnose and treat, including in-office fluoroscopy ( live X-ray ), surgical center resources, and ultrasound. We are ahead of the curve in our treatment modalities, utilizing PRP ( platelet rich plasma ) and Stem Cell therapy. Moreover, we incorporate anti-aging techniques to compliment your overall health, placing you at an advantage moving forward. Authority • Dr. Akash Bajaj is a well respected and sought-after speaker and educator because of his extensive experience and excellent outcomes. He is sought after for his expert opinion often and has appeared in media such as “ The Doctor’s”, DailyMail, CGTV, and more, as well as Director of the shoulder pain program at Santa Monica Orthopedic Group (SMOG). We are specialists in the diagnosis and treatment of spine pain and sports injuries. Accommodating • We understand you are very busy. We will work with your schedule, your insurance coverage, and your individual needs to expedite and provide care. If we can do it for you, we will. 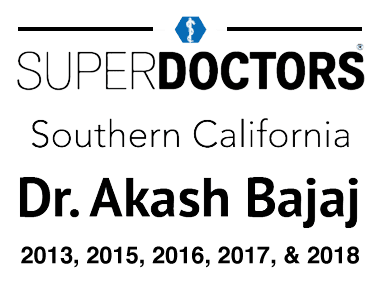 Akash Bajaj, MD is proud to head the team of highly trained medical professionals at Remedy Spine & Pain Solutions, located in Marina del Rey, California. His practice has built its reputation on delivering outstanding results. Patients throughout Los Angeles and the country find relief from debilitating pain anywhere in the body including the shoulders, back, feet, ankles, and other joints and regain the ability to lead active, healthy lives. We proudly specialize in non-narcotic solutions. 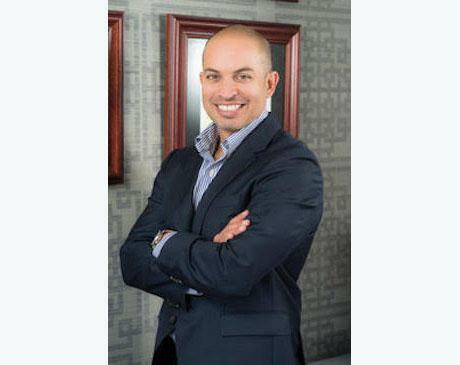 Dr. Bajaj began his education at the University of California, San Diego. He went on to simultaneously earn his M.D. and a master's in public health at New York Medical College. He then returned to the West Coast to complete an anesthesia residency at UCLA. While there, he was instrumental in pioneering the use of audio and visual distractions to help patients relax during the administration of anesthesia as a coping technique while experiencing acute pain. He then completed a Fellowship in Interventional Pain Medicine at the UCSF. At Remedy Spine & Pain Solutions, Dr. Bajaj is supported by a team of medical professionals, all of whom are dedicated to assisting patients who are experiencing pain. Patients have access to a wide range of treatment options as well as cutting-edge medical technology. Why manage the pain indefinitely when you may be able to get rid of it? Hope for Woman’s Debilitating Back Pain? Faith tells us that normal activities like driving and shopping leave her in extreme pain and has come to us for help. Can pain management specialist Dr. Askash Bajaj help treat her extreme back pain? Often featured on Fox, ABC and ESPN, Dr. Bajaj is an esteemed national expert on pain management. RIVINEX was created with one goal in mind: to provide a high quality product at an affordable price to the public that delivers what it says. In today's supplement filled world, there are so many choices it can be overwhelming. We wanted to use our knowledge ( gained through years of trial and error , research, and outcome monitoring ) to filter through all the nonsense, and create products we would trust our family to use. "I have been a patient of Dr. Bajaj for sometime now and he is such an amazing doctor. His bedside manner is fantastic and his team is always so welcoming." "He is very proactive and openly communicating to my other docs/surgeons about next options. I truly feel like he's on a mission to get me to the lowest pain possible." "I can honestly say that this is a good doctor, who cares and ACTUALLY LISTENS TO HIS PATIENTS...Folks, if you have him as a Doctor, you are in good hands." "The office is clean, the people are friendly and the doctor and staff are extremely knowledgeable." "I highly recommend this doctor. He's smart. He makes you feel listened to. And his dedication to helping patients is both genuine and determined." "They have truly changed my life. If you want a complete solution with a wonderful support team, I cannot recommend Dr. Bajaj and his team enough." "I became a patient of Dr. Bajaj three years ago and have experienced the most professional and effective care through Dr. Bajaj and would recommend him completely." "I would recommend Dr. Bajaj to anyone living a cautious and active lifestyle and in pain. His style, strategy, and empathy towards his patient is amazing. "